The outstanding package of support your receive from Inside Out PT will ensure you get the results you are looking for and have fun in the process! At Inside Out PT we take a simple and realistic approach to health improvement, removing much of the confusion and complexities of healthy living. We will support you in committing to your personalised wellbeing plan with regular one to one reviews with our coaches, keeping you accountable. 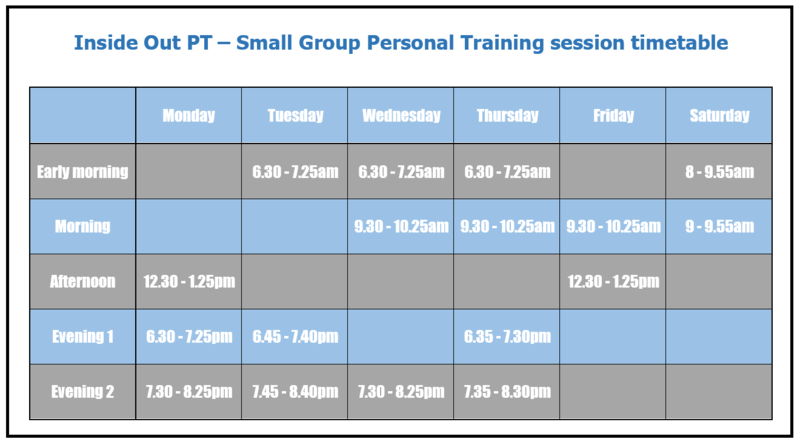 We understand that you have a busy life and therefore we have implemented a simple booking system where you can choose from more than 15 weekly group PT sessions and book up to 4 weeks in advance. Once it’s scheduled in the diary you will be more committed and with every session having a different format your mind will be stimulated and you will look forward to the quality time just for you, in the fitness zone! As a member of the Inside Out Community, you will have access to support from our fully qualified Nutritionist, private social media groups, regular member events and team challenges – features that will help you build new healthy habits that enhance your lifestyle in the long term. Why choose Inside Out PT? We understand that you have busy lives so keep our approach to health improvement simple but effective. Our booking system is simple to use so you can book sessions in advance to stay committed. We are based at the Carlton Cricket club on Grange Loan in Edinburgh. We have outdoor training grounds and a light and airy studio complete with a range of fitness equipment. The beautiful views of Arthur’s Seat will inspire you to achieve your goals! 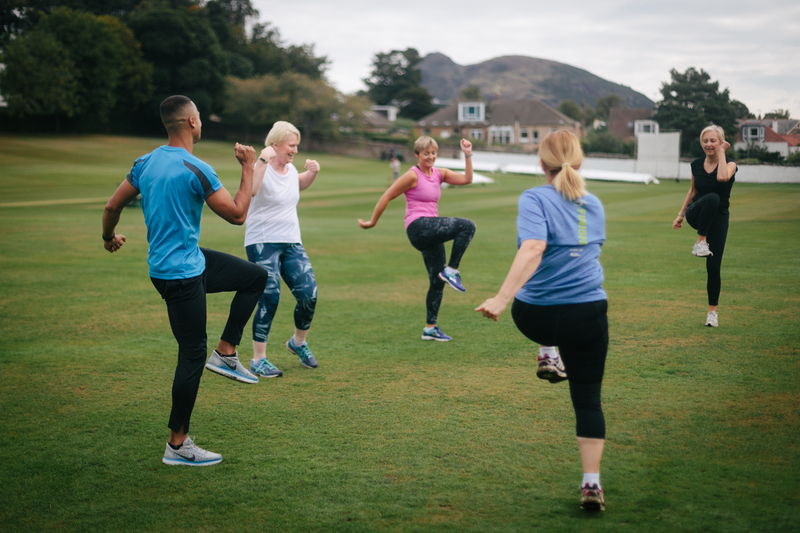 Alongside the exciting training sessions and regular reviews with your Coach your membership also includes access to nutrition support, members events, fun challenges and team events to keep you motivated. As a member of the Inside Out Community you will feel supported in your journey to better health. Share tips and advice, help one another to overcome struggles and encourage successes. 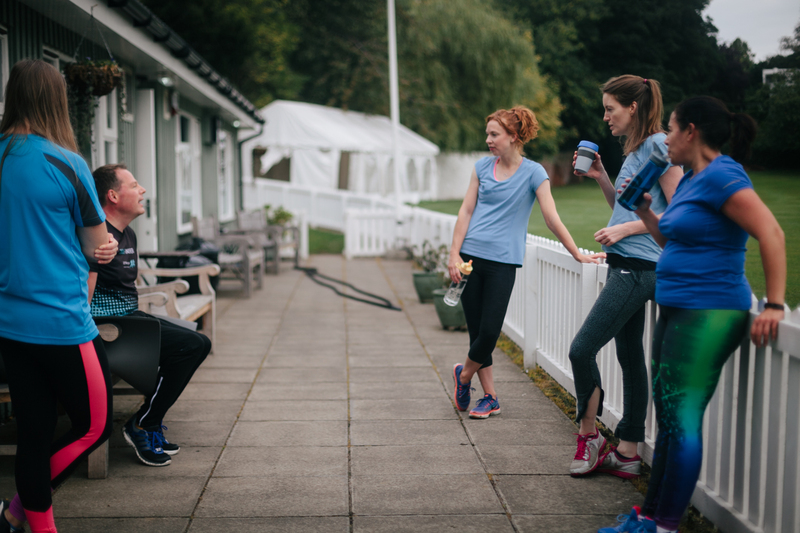 Meet new friends and take part in a team fitness and social events. We currently have a 6-week Kick Starter Membership offer with a 20% discount for new members.